Obviously, it's not just the paper that makes this an awesome release party, and I'm showcasing my favorite dies here, too. Believe it or not, there was no stamping involved in my projects today! But don't worry, I've got many more samples with stamping coming up later in the month. When I received all of the release products, I thought that tags would be a fun way to begin. I love to make them and was inspired by the Scalloped Frame dies, though my finished product turned out much differently than the direction I started in. I began by cutting out the scallop frame and the stitched tag in the yellow floral paper, and then trimmed another set from the multi-colored striped paper. I mixed and matched a different frame or tag (even using the frame negative!) and paired them up with the different die sentiments--HEY and HI. 'HEY' is pair of dies that comes in 2 sizes to create a layered look. 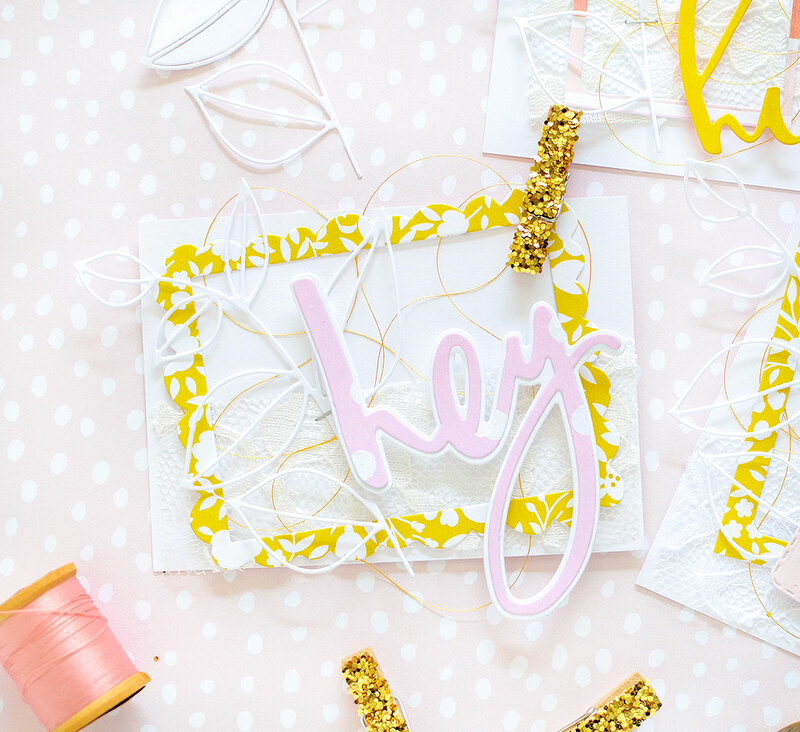 I cut the smaller version of 'HEY' from pink dotted paper and adhered it over the larger in white. 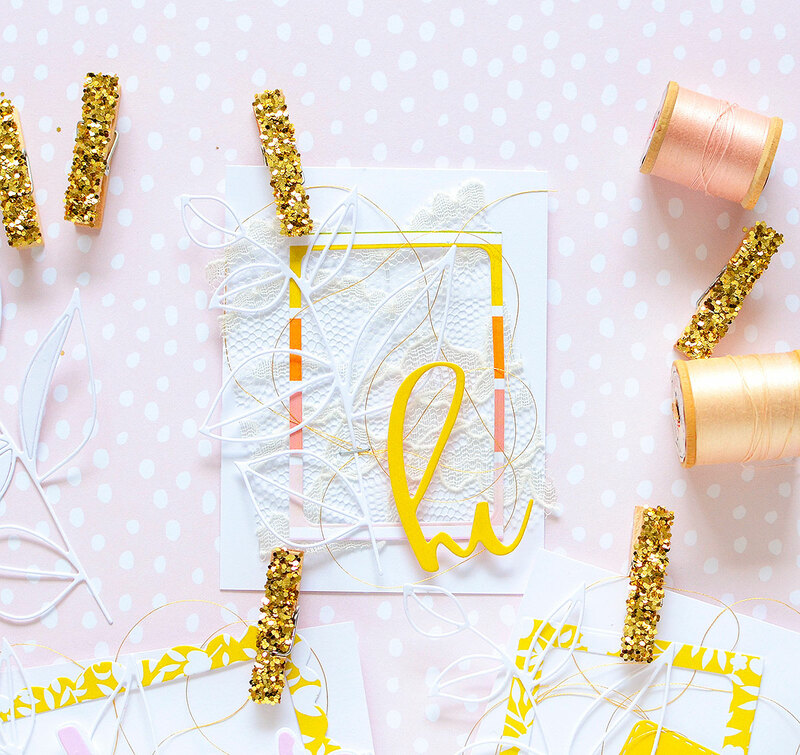 'HI' comes with the Scalloped Frame die set. Another image that makes up these tags is the Botanical Beauty branch. I absolutely adore this stem; these are my most favorite kinds of dies, I think--the wispy, leafy stems. I cut mine from white card stock and stapled one to each tag. I really wanted these to stand up a little bit on the tags, not be glued down, which is why I used only one mini staple to attach them. A bit of lace and gold thread are included for texture and softness. 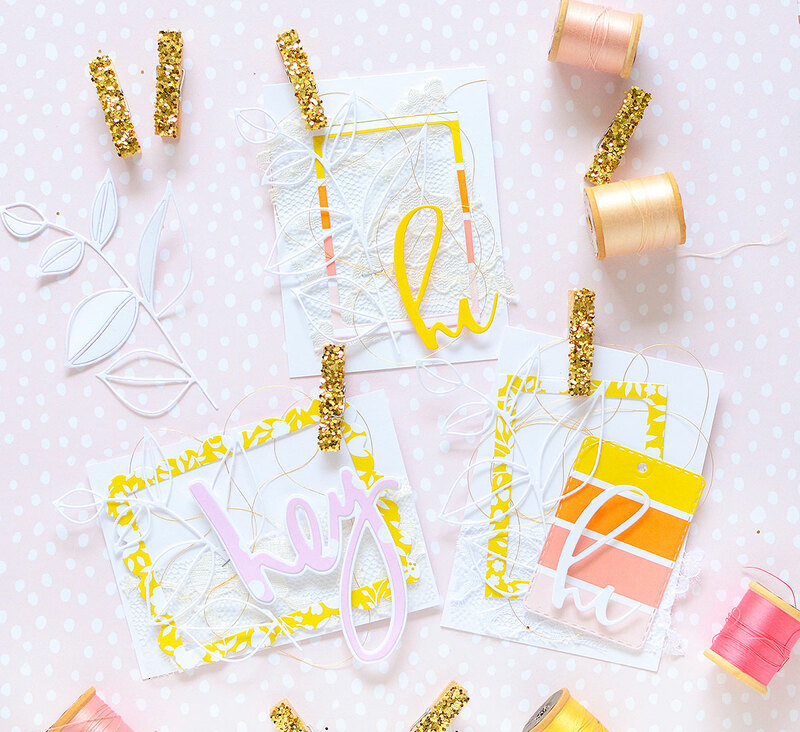 I didn't want to add anything too bulky or big because I didn't want to take anything away from the simple beauty of these tags and their die cut elements. 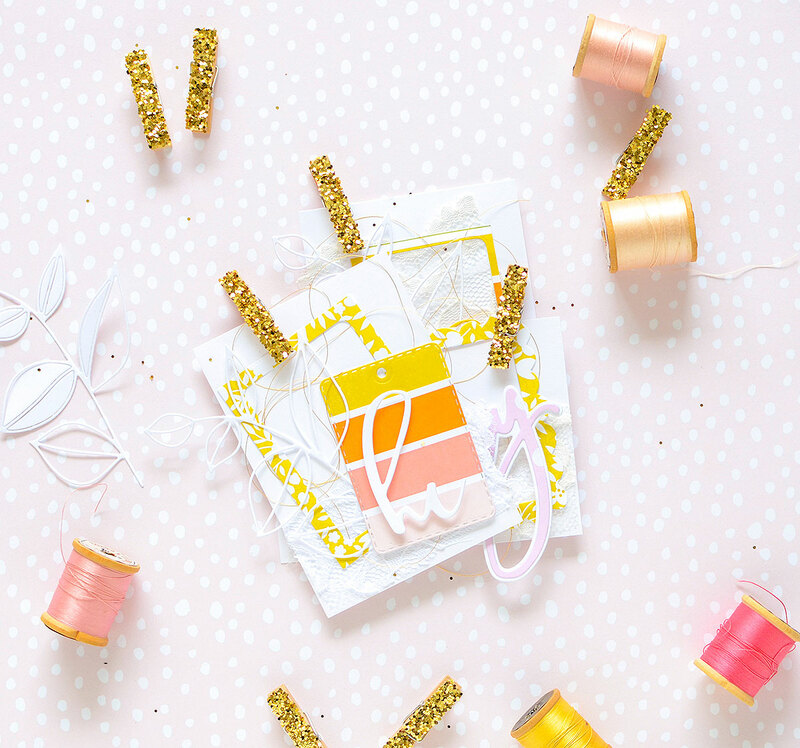 They're really very simple, but with the delicate stems and pretty patterned papers, it seems like there's much more to them than a few simple layers. All that was left was a glittery clothespin so I can attach them to packages. I'm so glad you came by today! Be sure to check out the other blogs in the hop, if you haven't already. 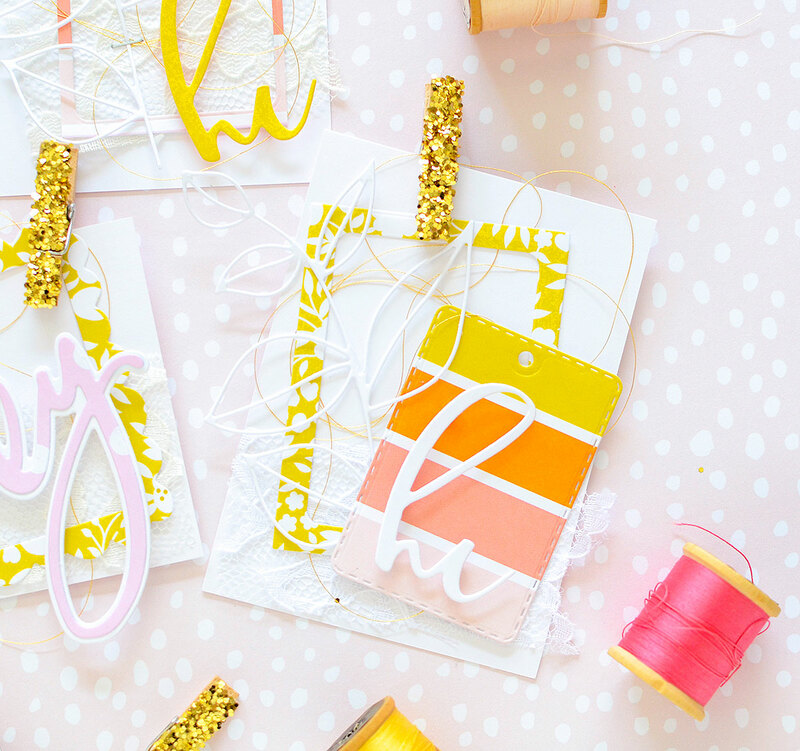 I'm so excited to see what Amy (The Stamp Market), Carly, and Ashlea have created today! And of course, don't forget to visit The Stamp Market shop to pick up the new products! They come out today so get them before they're gone! 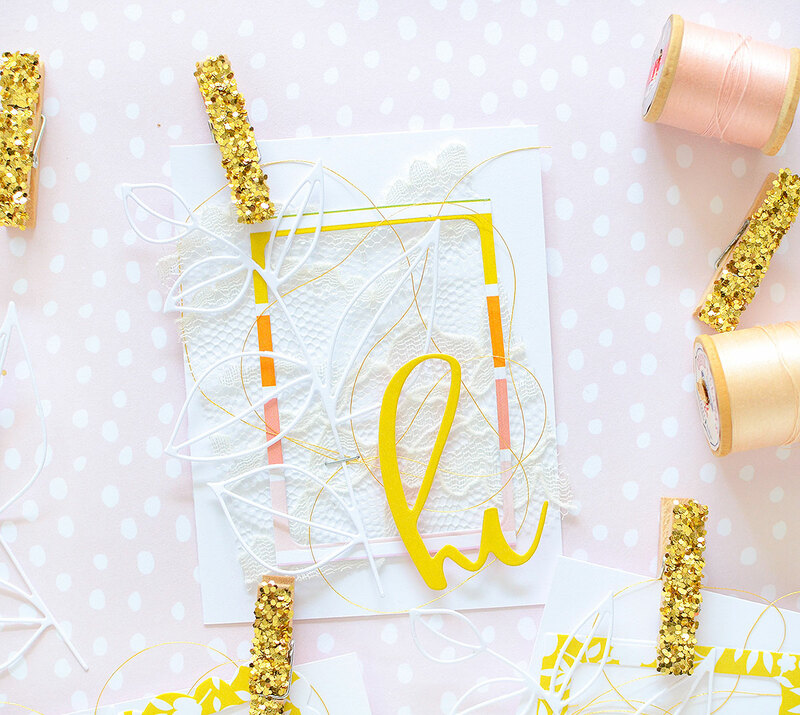 Love that 'hey' word die and the pretty papers! Beautiful creations to show off this awesome release! Love the stamps and dies! Wow. 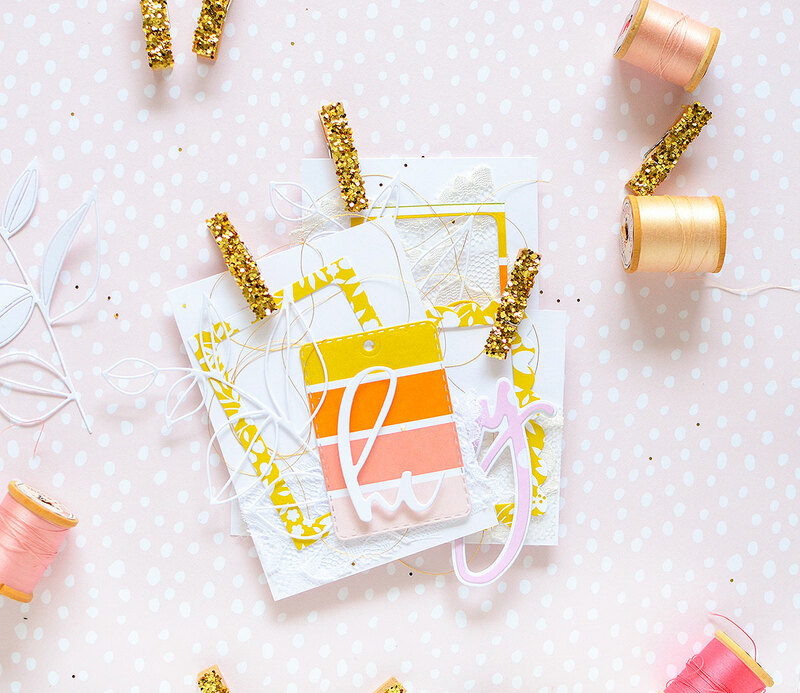 Sending love for your projects and for the awesomeness of The Stamp Market!